A bird centre has hatched £100,000 worth of rare eggs smuggled into the UK by an SAS-trained wildlife hunter dubbed the ‘Pablo Escobar of the egg trade’. 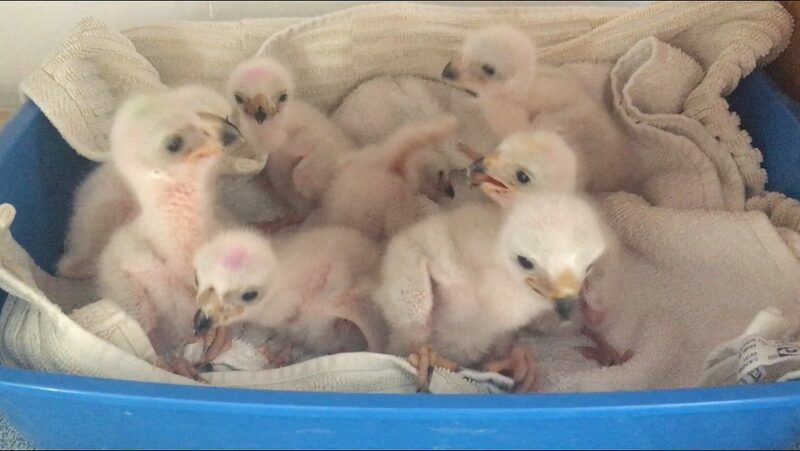 The International Centre for Birds of Prey has hand-reared 17 chicks after their eggs were seized from smuggler Jeffrey Lendrum by customs officers at Heathrow Airport. He attempted to smuggle them from South Africa strapped to his chest in a sling hidden beneath a heavy coat in June. 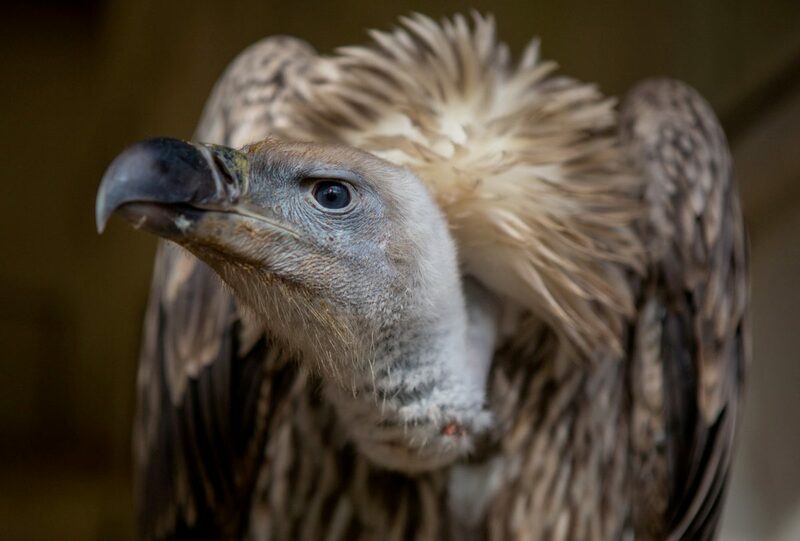 It included three Cape vultures which became an endangered species in 2015. There were also four African fish eagles, eight African black sparrowhawks and two African hawk-eagles. Conservationists at the centre in Newent, Glos., have now successfully raised them into young adults. They plan to breed them with the aim of releasing their offspring back into the wild. Director Jemima Parry-Jones said: “On June 26 we had a call from customs saying they had stopped someone at Heathrow with 19 fertile eggs strapped to his body. “Two had already hatched by the time we got there and one black sparrowhawk was broken in Lendrum’s body pouch. 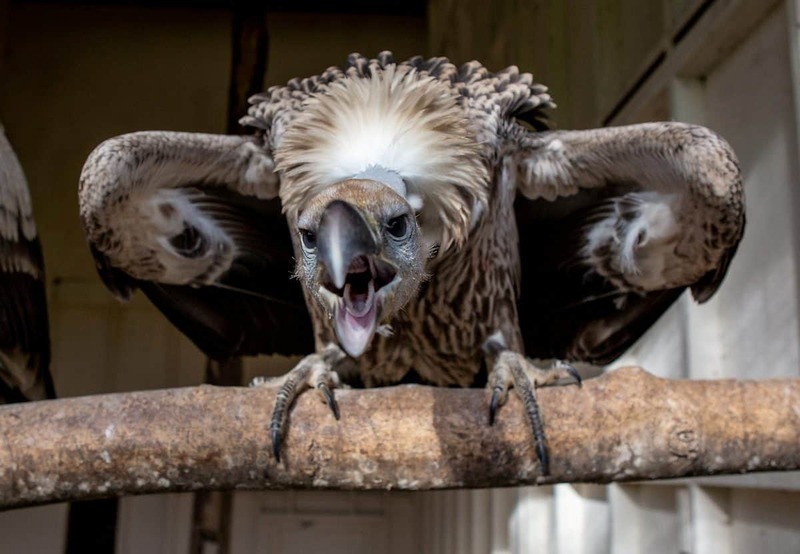 “An African fish eagle died three days after hatching due to a yolk infection so we were left with 17 birds altogether. “We collected them in a portable incubator and brought them back to an incubator at the centre until they started to hatch. “They were then fed three times a day and weighed. Now they have grown the birds are fed once a day. “We had to hand-rear them which means they cannot go back into the wild because they are too habituated to humans meaning it’s not safe. “We will try breeding from these birds and then their young will be parent-reared rather than hand-reared. Jemima, the daughter of late British bird expert Phillip Glasier, was a witness in the trial of Lendrum who was stopped entering Heathrow in June last year. He was jailed for three years and one month after pleading guilty to four offences on the second day of his trial at Snaresbrook Crown Court in January. 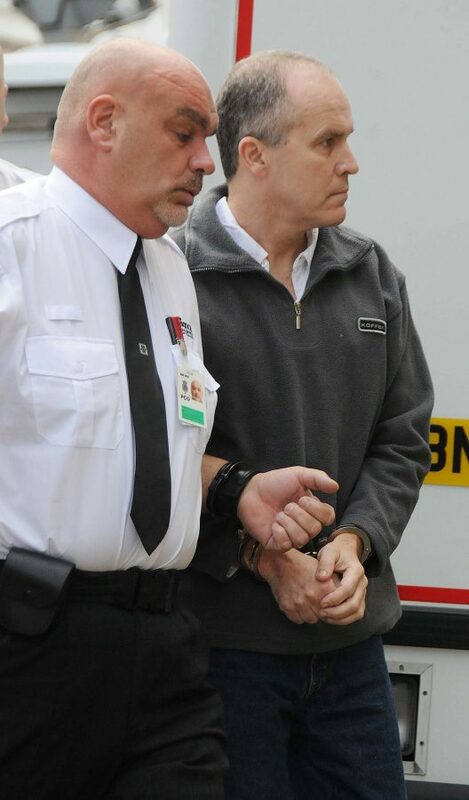 Lendrum, who has Irish and Zimbabwean citizenship, has a series of bird smuggling convictions spanning decades. He is a former member of the Rhodesian SAS. 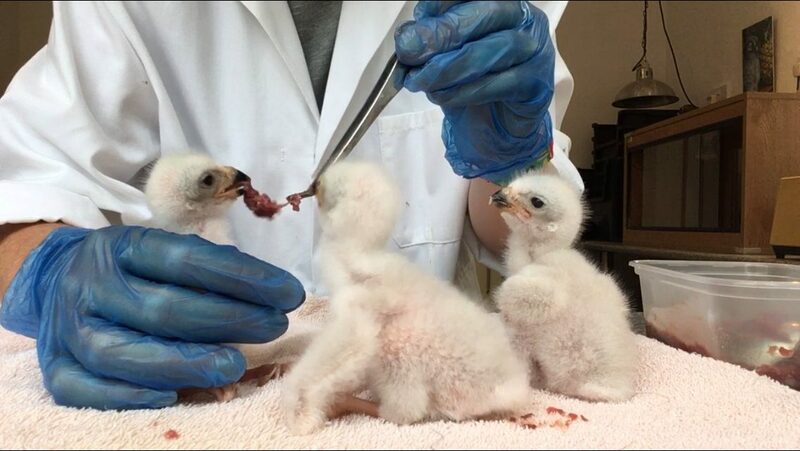 In October 2015 he was sentenced to four-and-a-half years in prison for theft and smuggling after being caught carrying four rare falcon eggs in Sao Paulo, Brazil. He was was released on bail pending appeal and fled the country. 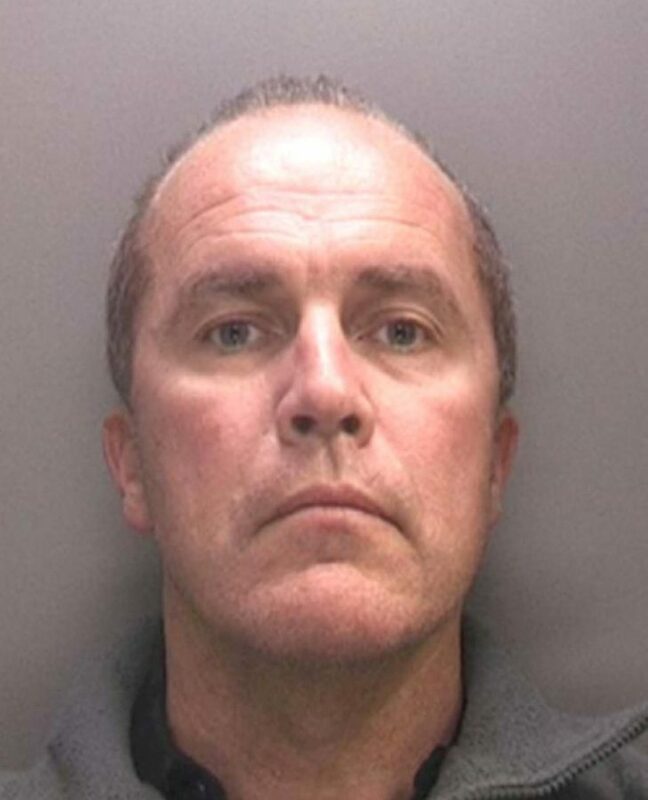 In 2010, he was caught trying to smuggle 14 rare peregrine falcon eggs out of the UK after being intercepted at Birmingham airport when a cleaner noticed him acting suspiciously. Lendrum has always insisted he is motivated by compassion – and has been vilified by the media. He told author Joshua Hammer, who is writing a book about his exploits, that he “must have climbed to a thousand nests” but insisted there was “no money in it” and that he only retrieved dead eggs for research. “The whole media has portrayed me as the Pablo Escobar of the falcon-egg trade,” Lendrum said. Police described him at the time as “the highest level of wildlife criminal”. Jemima was awarded an MBE in 1999 for services to bird conservation. She said the birds are fully grown but some could take years to breed. 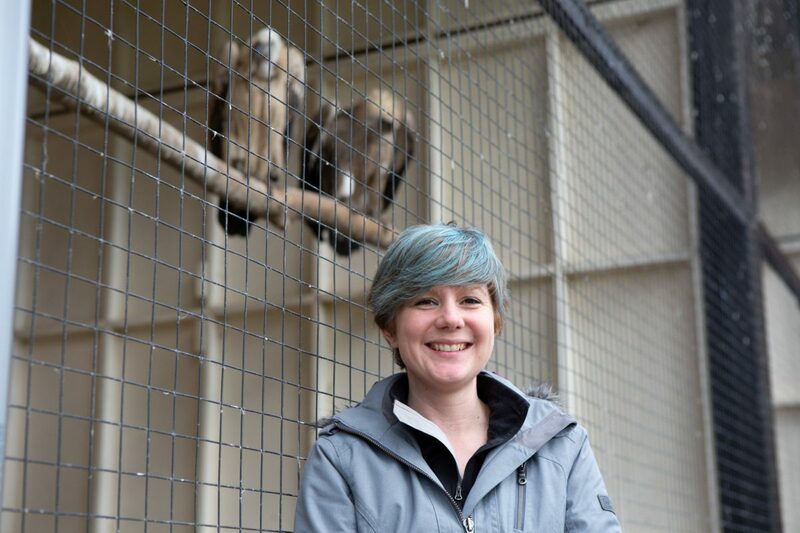 She said: “The African fish eagles are fully grown but they won’t be at adult plumage until they are five years old so we must wait. 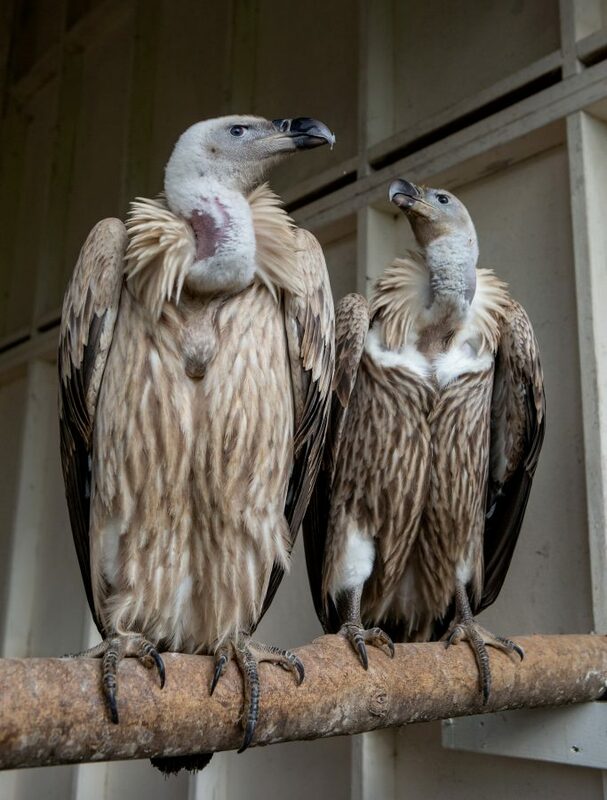 The birds belong to the Crown following Lendrum’s conviction – but Jemima believes the centre will continue to care for them. She added: “Customs officials are going to visit to discuss the birds future because once court case like this is over the birds belong to the Crown. The International Centre for Birds of Prey is home to more than 60 species of owls, eagles and hawks.